I discover music through many ways (which I’ll share with you in a future post) but lately, I’ve found most of my gems while browsing people’s feed and stories on Instagram — I have to thank Amber Olivier for Hunnah and her song Think About It! Hunnah is that type of artists that I don’t only appreciate for their music but whom I also relate to on a personal level. Like me, Hunnah loves rules, adored school and likes to be crazy organized. Like me, she studied to be a journalist and her parents met in a very similar way to mine (I won’t share that story right here but you can listen to the Kinda Neat podcast to find out more about this). Last but not least, her song 23 about a lost sense of confidence hits home and resonates with too many feelings I’ve had these past few years. Born in Toronto, Canada to Ethiopian immigrants, Hunnah owes her strong affinity towards music to her Filipino grandmother who wanted to put her piano to good use with a lot of classical lessons. She’s now teaching it to kids in high school, after doing a double major in journalism and human rights and even looking into law school when she realized her first studies wouldn’t allow her to help people the way she wanted to. In the meantime, 4 years ago, the singer/songwriter launched her YouTube channel, sharing covers and originals weekly while humbly hoping to convince 200 people to subscribe. Her rendition of Justin Bieber‘s Confident was the first video to surpass 1000 views and I guess we could say the rest is now history as she reached 27 000 followers on the platform and even found an amazing manager on the way who convinced her that if she was not doing music now, she might end up regretting it forever. Think About It was actually the first demo she sent to that manager. “It’s the first song I ever made with Martin Sole back in summer 2016 and the first little taste of new music. This one is pretty special!”, Hunnah added on Twitter. This also resulted in her first trip to LA in February 2017 and her first sessions. The blunt and silky track had initially been unveiled to the public in April with over 35K streams on Soundcloud. “My song got placed and then cut from my favourite show and I was like true, things happen, on to the next and then it got placed and cut AGAIN and I’m like can I JUST BE LEFT ALONE I WAS DOING JUST FINE. I’m cheesed dawg (sic)”, she continued on social media. “Also this kinda big producer/manager guy hits me up every so often out of the blue and asks for new music and he listened to the EP and said it didn’t blow him away so yea, I’m really excited for you guys to hear it, feeling SO GOOD!” Well, that guy passed but that’s his loss. 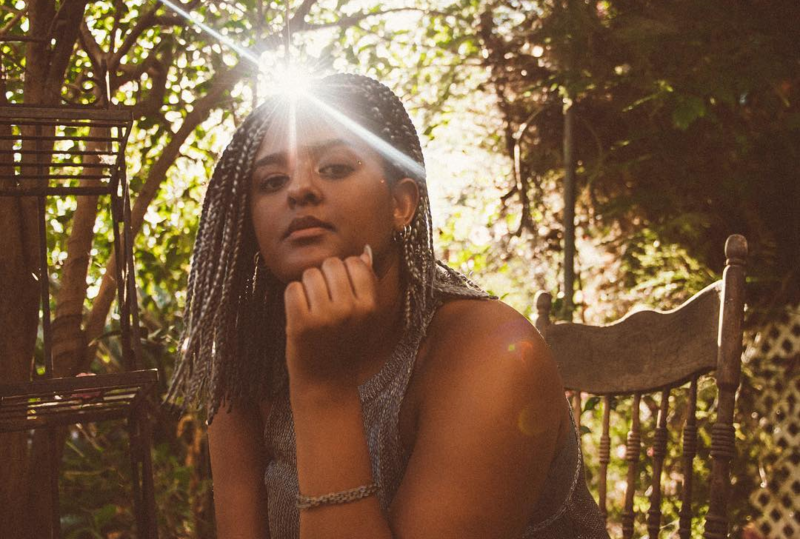 ‘Cause when I hear Think About It, I can’t help but sit and listen to Hunnah’s husky voice, delivering unconventional, repetitive rhymes about an “outgrown” relationship that she can’t totally forget. I imagine it on my favorite blogs, I can already see it on COLORS – mark. my. words. Music is your calling, Hunnah. You might be terrified but watch your lyrics unfold the craziest story you never dared to write.